Greasby Messenger is the local not for profit magazine. 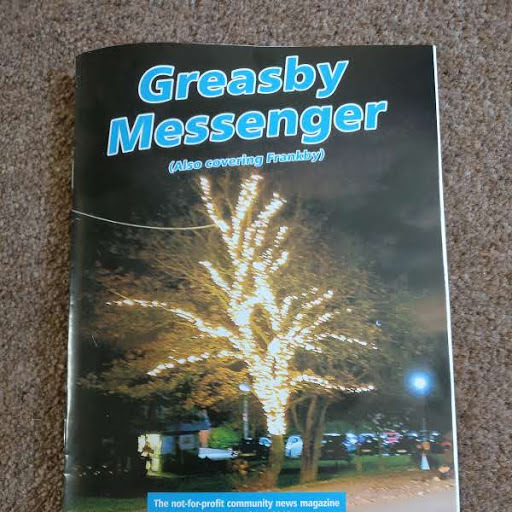 The Greasby Messenger started in May 2008 and it continues to be delivered to all 4200 households and all traders in Greasby and Frankby in March, June, September and December each year. The Messenger is a local magazine produced to encourage and strengthen community relationships. It contains a wealth of information, local news and a diary of local events, and advertisers know that everyone in their local area will have a copy to refer to. It can only be distributed free of charge because of the advertisers, (see below for how to advertise) and the colourful cover is possible because of the support of Wirral West Constituency Committee's Community Fund. An advert in the Greasby Messenger drops through the doors of every home in Frankby and Greasby - over 4500 doors! Contact Phill for advertising .